Controlling the level of greenhouse gas in the atmosphere is a rapidly growing area of commercial activity. While debate continues both about the impact of greenhouse gas on climate and the role humans play in influencing its concentration, engineers are faced with less controversial questions of how to manage this uncertainty and how to control greenhouse gases at a minimum cost to society. 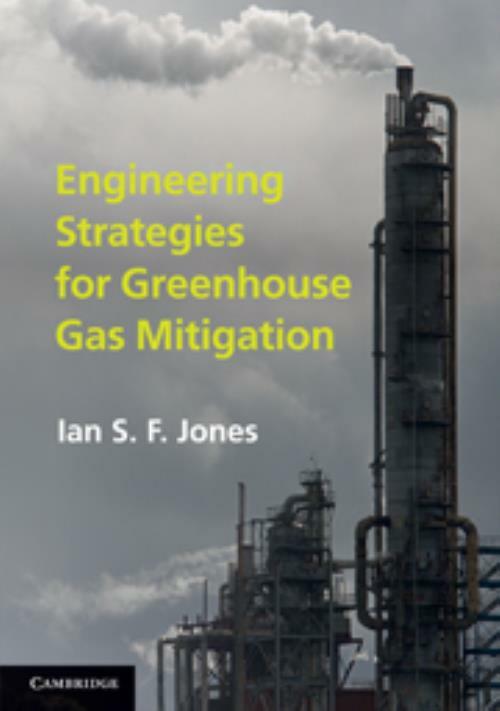 This book gives a concise review of current knowledge required for engineers to develop strategies to help us manage and adapt to climate change. It has been developed from the author's graduate course in environmental engineering, and is written without technical jargon so as to be accessible to a wide range of students and policymakers who do not necessarily have scientific or engineering backgrounds. Appendices allow readers to calculate for themselves the impact of the various strategies, and the book contains student exercises and references for further reading. 8. The past and the future; Appendices: Appendix A. Economic models; Appendix B. Present net value; Appendix C. Kyoto Protocol; Appendix D. Emission by Annex B countries; Appendix E. Table of units; Bibliography; References; Index. Ian S. F. Jones University of Sydney. Professor Ian Jones is Director of the Ocean Technology Group at the University of Sydney, Australia. He is also a director of Earth, Ocean and Space, a Sydney-based environmental consultancy. He has been a visiting professor at Tokyo, Copenhagen, Conception, Sun Yat Sen and Columbia universities. Dr Jones holds a number of patents on greenhouse gas abatement and has lectured at many international meetings. He is the co-author of three books and 90 research papers and sits on a number of journal editorial boards. He was elected a Fellow of the Institution of Engineers, Australia, and is a Councillor of the Engineering Committee for Oceanic Resources.